Home News Do road conditions directly correlate to budget? Do road conditions directly correlate to budget? A lack of manpower and equipment, aging roads, little equipment and too little money aren’t good reasons for bad roads when it’s the rainy season in Natchitoches Parish. And rural residents at the Parish Council meeting Monday believe returning to a police jury form of government, will remedy those problems. Leon McQueen, of Bellwood, complained of numerous potholes saying it took him 30 minutes to travel just over 2 miles. He also said there was no action from Parish Government to spread road materials he secured in November through Rep. Mike Johnson. The Rev. Roger Matkin said he retired from his school bus route because bus maintenance expenses from the bad roads exceeded his income. David Lewis of Kisatchie voted for the change to Home Rule Charter but now believes it was not an improvement for the rural people. “We’re not satisfied we’re being heard,” Lewis said. He asked about the process to a place a referendum on the ballot to return to the police jury form of government. Parish President Rick Nowlin said the highway department has only 17-18 employees and little equipment. Also, the Road District 40 tax generates just over $1 million annually that is used for maintenance on hundreds of road. Less than 4 percent of the taxes paid in Natchitoches Parish go to roads. To overlay one mile of road costs about $250,000. Nowlin said that that the property tax collected from the residents on Harmony Road generates less than $100 a year and that collected on Emmanuel Roads generates less than $150 a year. As an example, according to the La. Tax Commission report for 2016, Road District 40 tax generated just over $1 that year. In comparison, the library tax generated $2.3 million; Cane River Waterway $1,3 million; Red River Waterway $780,000; Fire District #9, $205,748; parish-wide ambulance service tax $1,7 million. Parish Council member Chris Paige, who has opposed the Home Rule Charter since its inception and who also served on the police jury, said he would like to see discussion about a referendum put on next month’s agenda. In other business, the council approved hiring Pan American Engineers LLC, to draw plans for Hampton Road. Owner Thomas C. David Jr., said his firm has about 75 people on staff. He would like to get the project started by developing a bid package and could move quickly after that. David said he the bids should be within the $1.2 million budget and work could start in the summer. The Red River Waterway Commission appropriated the $1.2 million since Hampton Road leads to a commission recreation area and boat launch on Red River. Parish Government will furnish the engineering. Nowlin’s staff will ask Google Maps to correct GPS settings that incorrectly direct 18-wheelers off Interstate 49 onto James Gorum Road. The trucks run into a dead end and destroy the road and the Parish can do little to correct the reoccurring damage. Interim Highway Director Earl Townsend said all the department can do is put rocks over the damage until the GPS stops directing the trucks to the road. 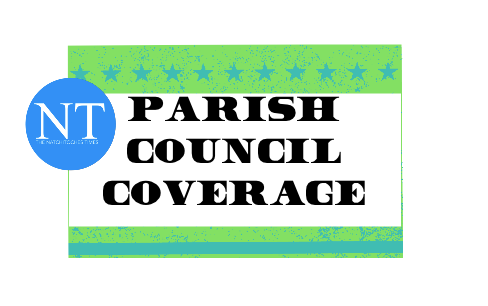 •Waste Connections will reimburse Parish Government $143,000 following an audit of the 2017 account. The money will be deposited in the Solid Waste account. •Bids for a handicap ramp at the front entrance of the courthouse will be opened March 19. •A construction contract was awarded to Terry’s Roofing and Sheet Metal for $74,000 for a new roof on the Live Oak Building. •The Council confirmed reappointment of Johnny Possoit and appointment of Danny Clark to Fire District 6 Board; Clark will replace Tom Guess. •The Council appointed Gloria Waldrup Davis to the Natchitoches Parish Library Board.